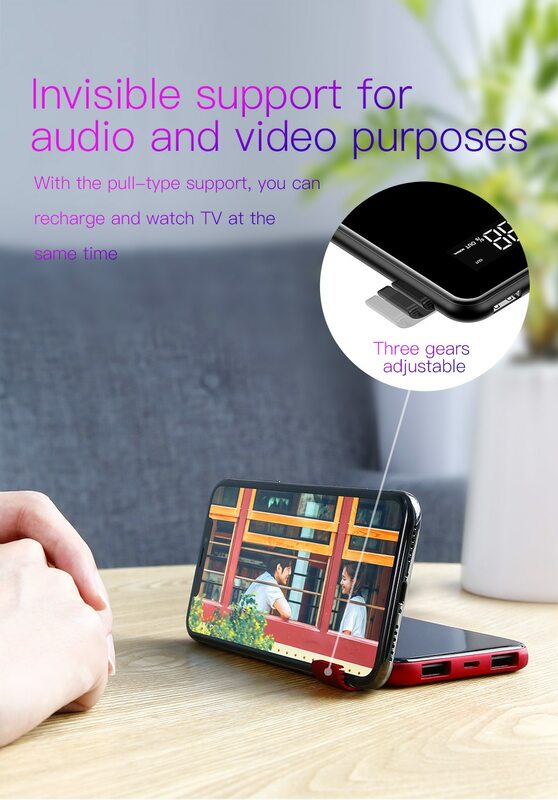 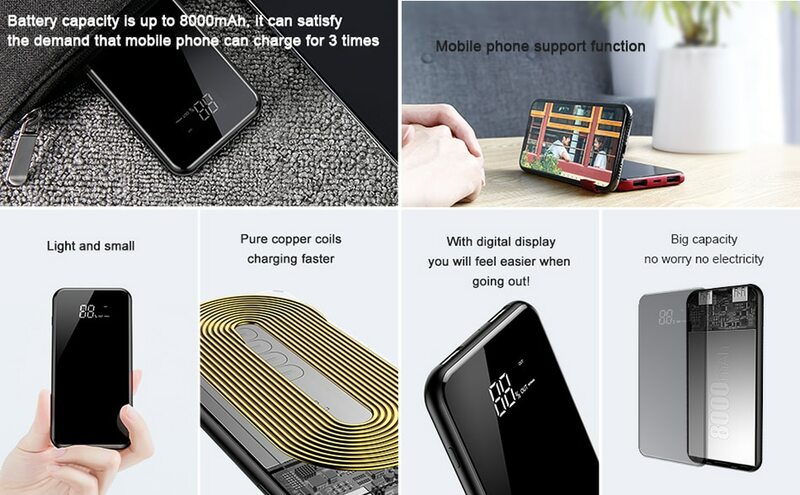 3-in-1 design: wireless charger, power bank, and phone stand - an ideal for travels or home use. 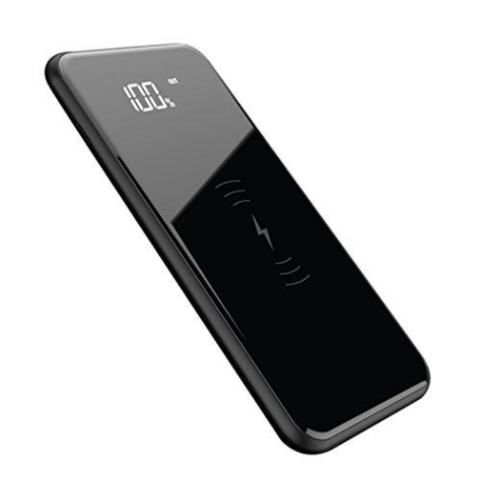 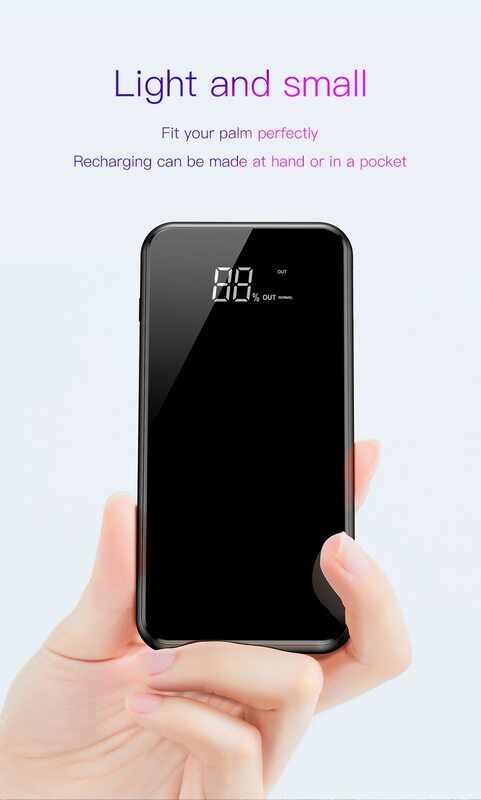 It combines two different charging protocols: wireless charging and USB charging - universal compatibility. 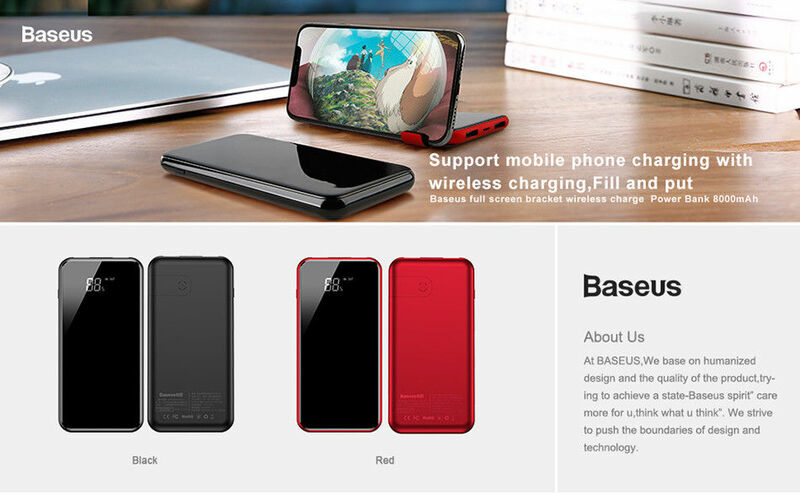 The Baseus Bracket Qi power bank boasts 8000mAh of battery capacity and two USB ports. 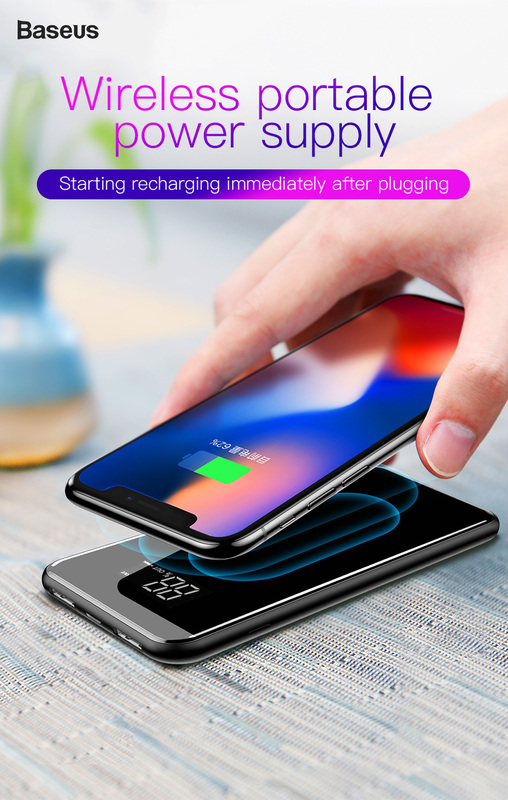 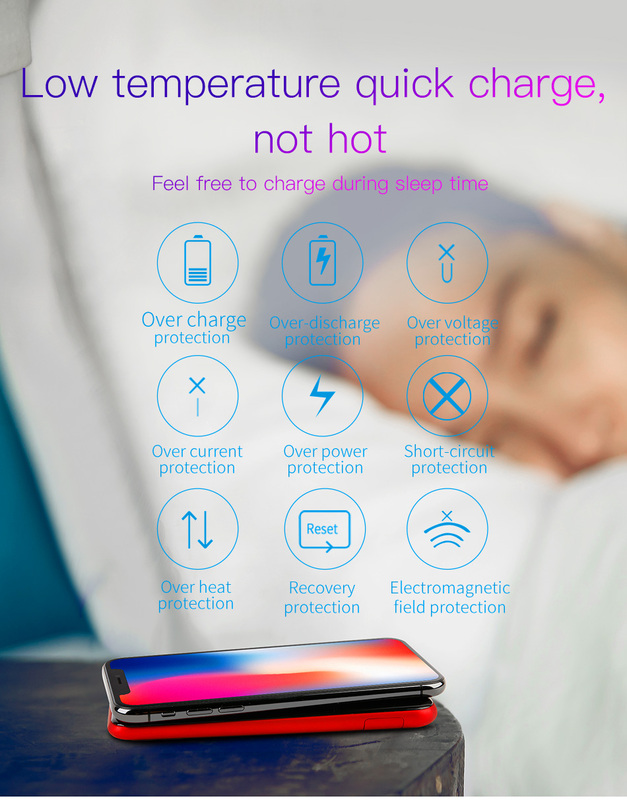 The Baseus Qi charger/power bank allows you to recharge one Qi-enabled phone and two USB-powered devices at the same time. 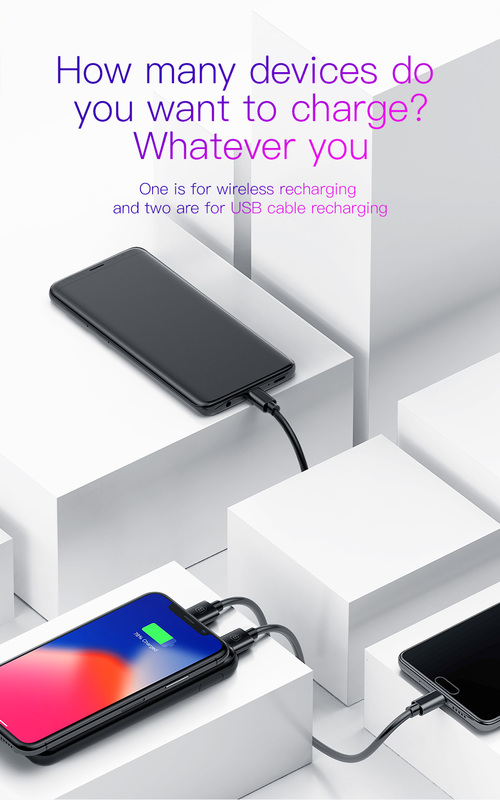 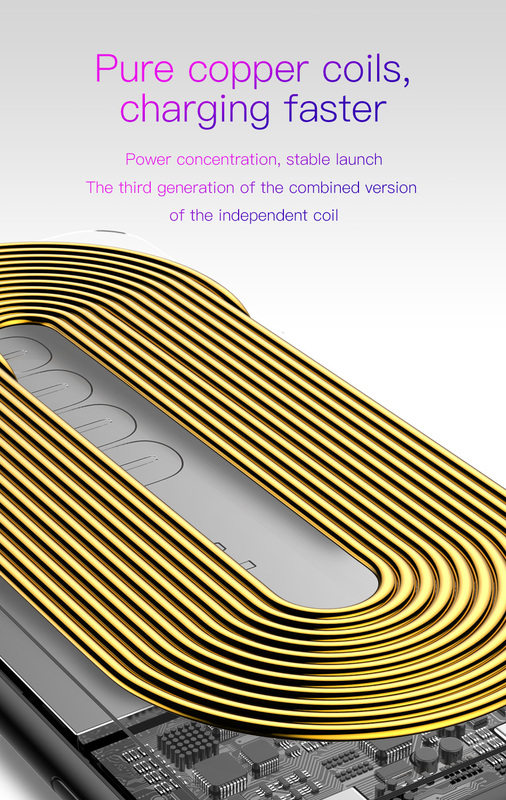 The maximum wireless charging output is 1A while both USB ports are capable of delivering up to 2A of output power. 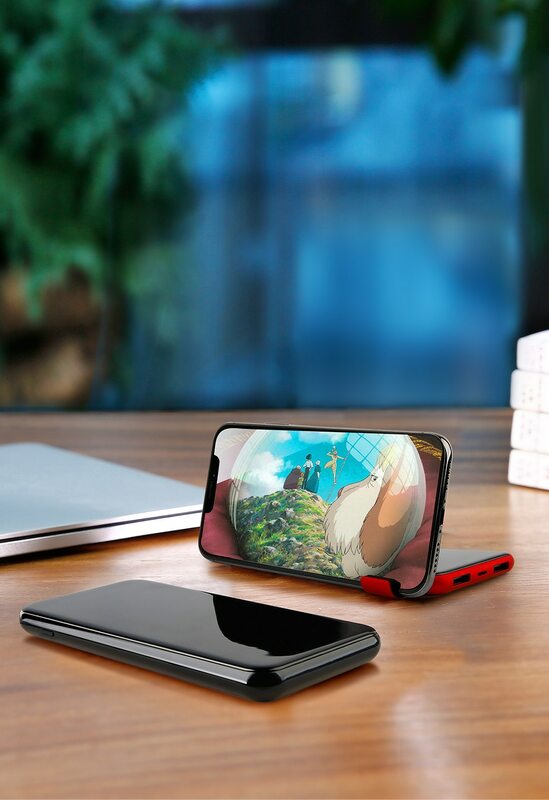 Designed with an adjustable pull out stand with three positions for comfortable media viewing on your smartphone. 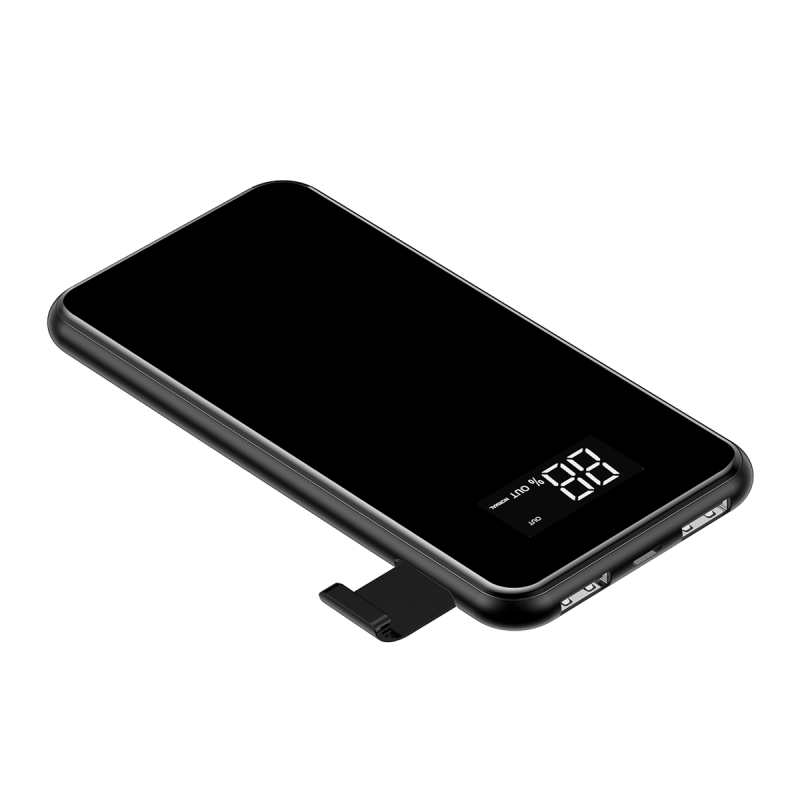 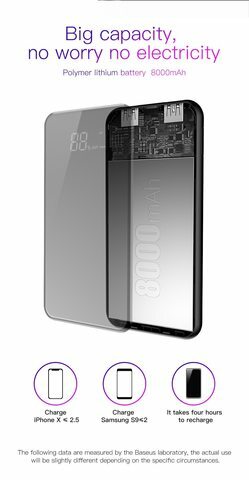 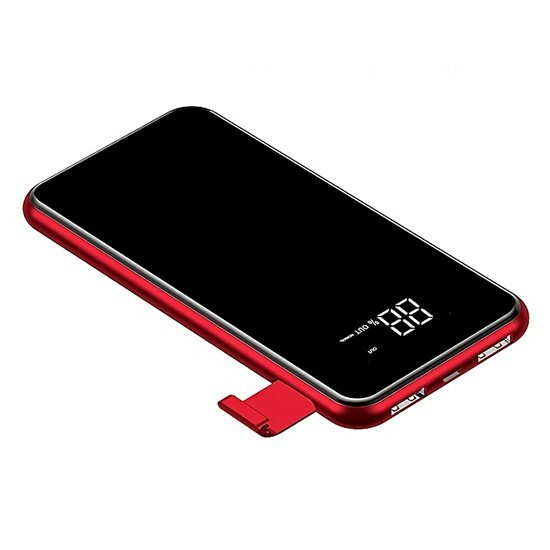 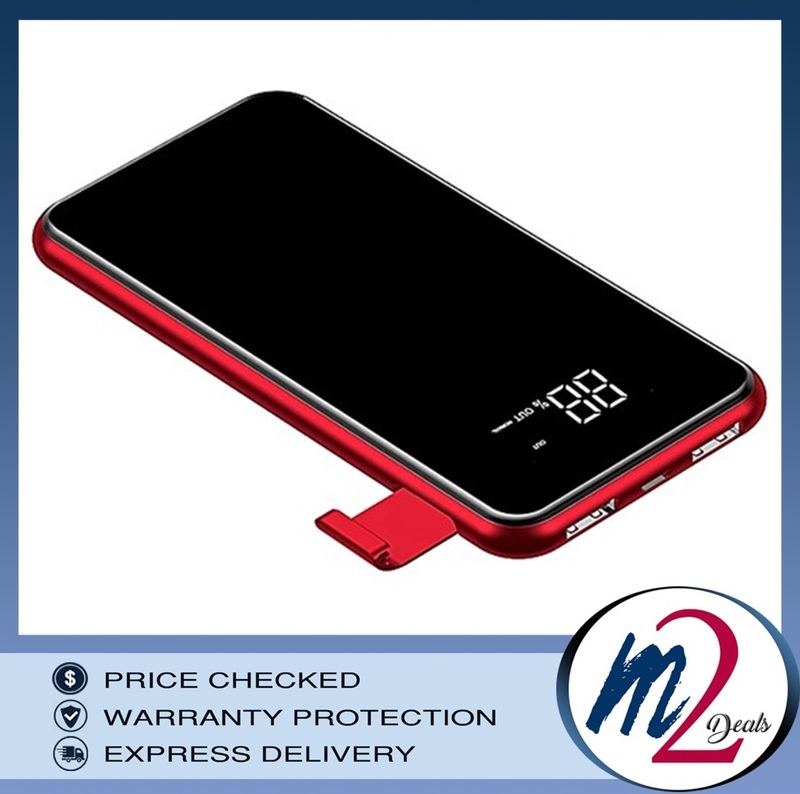 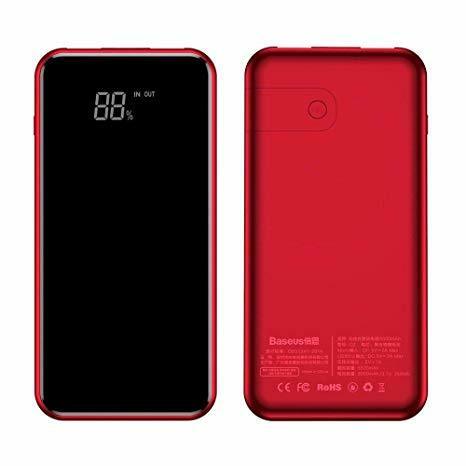 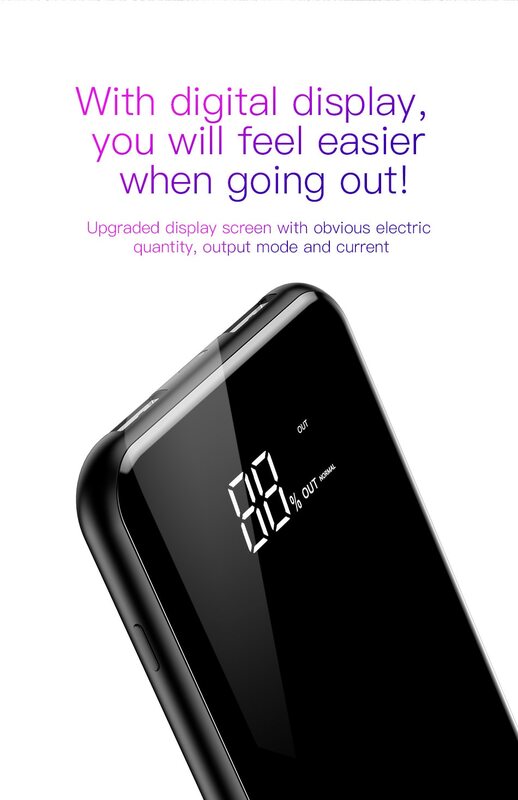 The Baseus Bracket Qi power bank also has a digital display that shows you how much power is left in percent. 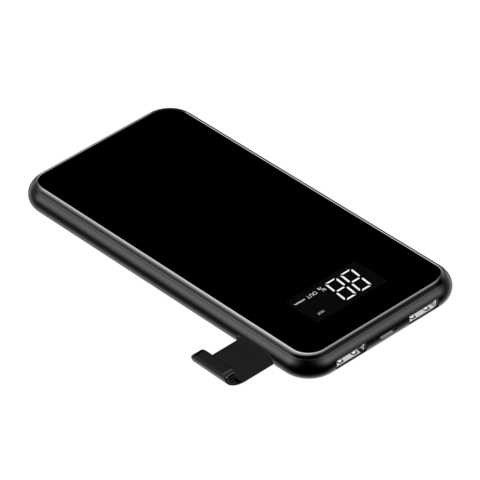 The Baseus Bracket wireless charger boasts integrated pure copper coils that provide faster charging. 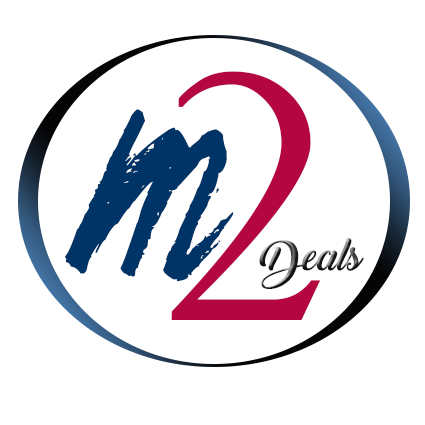 Multiple protection systems and CE, FCC, RoHS certifications offer utterly safe and reliable charging for your devices. 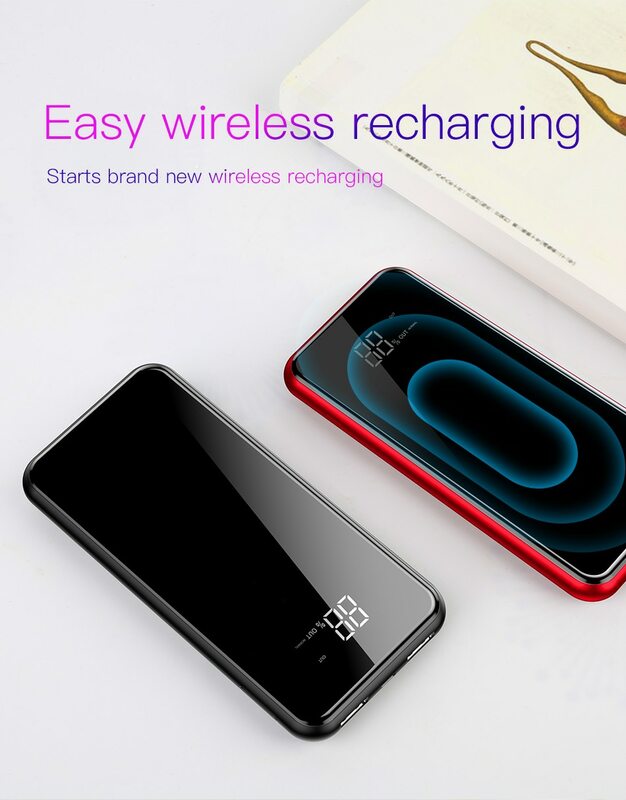 With this Baseus wireless charger/power bank, you can recharge any Qi-supported phone and all USB-powered devices.